The studs square measure fantastically adorned with inexperienced white red and pink stones beside little pearls in a very triangular crown like formation and having atiny low pearl hanging. The first thought that comes to mind on viewing this pair of earrings is that it is extremely colourful and graceful. 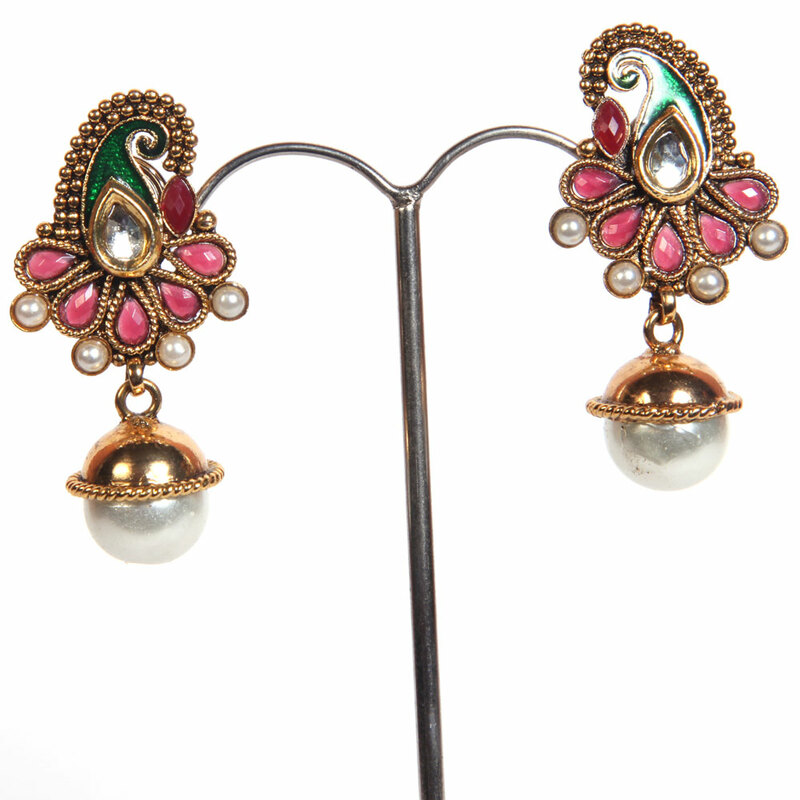 The studs are beautifully Read More..decorated with green white red and pink stones along with small pearls in a triangular crown like formation and having a small pearl hanging. Show Less..